Marvel’s “Iron Fist” panel at San Diego Comic-Con 2018 Thursday dropped all kinds of new information on fans, not the least of which was when to expect new episodes of the show — Sept. 7 by the way. The panel showed off several clips of the new season too. First and foremost, it’ll have improved fight scenes: “Iron Fist” picked up Clayton Barber, the fight coordinator from “Black Panther,” to take control of the show’s stunts, and it showed in the footage we saw up in Ballroom 20. The panel really kicked off when they revealed the season 2 launch date via this teaser that the show tweeted out later on. The first clip shown at Comic-Con found Danny Rand (Finn Jones), a.k.a. Iron Fist, beating up a bunch of bad guys — and an armored car — in an impressive sequence that continued to escalate until he had to draw his glowing yellow fist — with which he then punched the ground, knocking all his foes out. 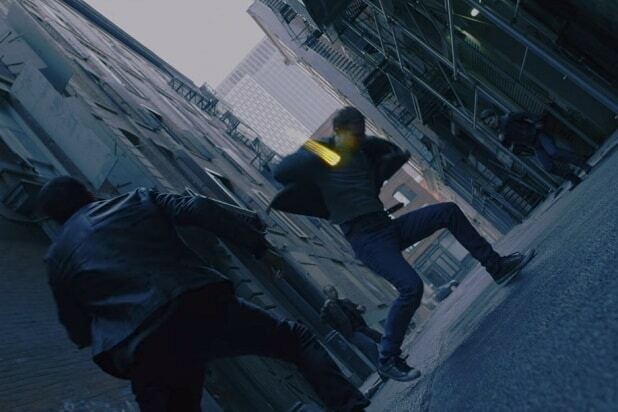 The second clip showed that we can expect more of Danny teaming up with Colleen Wing (Jessica Henwick), as the pair battled baddies in a restaurant. Colleen beat up baddies in the back, while Danny talked to a few up front, until he had to bring the pain against them as well. Also Read: 'Luke Cage' Season 2 Refresher: What Happened to Misty Knight's Arm? At the panel, Henwick also teased something fans have been patiently awaiting for a while now: the Daughters of the Dragon. That’s a team-up between Colleen and Misty Knight (Simone Missick), a Harlem detective who’s a major character in “Luke Cage” and on “The Defenders.” Colleen and Misty have been building a relationship for a while now, and after the events of “Luke Cage” Season 2, it looks like the pair are ready to do some superheroing of their own. We saw a clip of the pair facing down a couple boss-level baddies, though sadly they didn’t fight them in tandem — Misty ran outside for reasons we weren’t given in the clip, and Colleen faced down the two lady fighters on her own. It was a fraught battle, one that Colleen seemed at risk of losing a few times. But of course she got the best of them in the end. Misty, meanwhile, ran outside and kicked another bad guy off a motorcycle. Marvel Television boss Jeph Loeb also revealed the role Alice Eve will play on the show: the villain Typhoid Mary. In the comics, Typhoid Mary serves as an assassin for criminals, sports telekinetic powers, is sometimes a lover and sometimes an adversary of Daredevil, and suffers from multiple personalities. Marvel played a clip that showed Eve as Mary facing off against Colleen and Misty, and generally whooping both of them — she even managed to knock Misty out for a moment. But just when things started looking really dire, Misty came to and pulled a gun on Mary and seemingly stopping the fight for the moment. Though Mary is traditionally a villain, her role in “Iron Fist” Season 2 still seems pretty ambiguous. A final clip showed a flashback to K’un Lun, the mystical city where Danny became the Iron Fist. It included Danny’s best friend, Davos (Sacha Dhawan), fight one another for the opportunity to battle Shou-Lao. 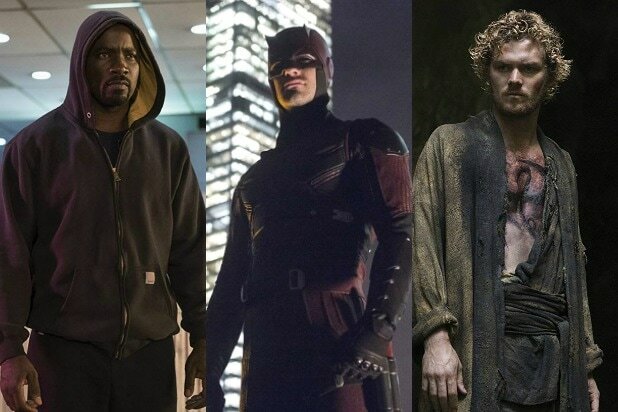 We know from “Iron Fist” Season 1 that Danny eventually won that fight with Davos, and managed to defeat Shou-Lao, which is how he became the Immortal Iron Fist. Davos never really forgave him for that — and Season 1 teased that Davos was becoming Danny’s enemy. In Ballroom 20 we saw what appeared to be most of that fight. It’s a really brutal, drawn out affair, and certainly less smooth than what we usually get from this show as Danny and Davos beat each other to a pulp. Danny eventually emerges the victor, exhausted by the time it’s over. In the comics, Davos becomes a villain known as Steel Serpent, and “Iron Fist” Season 2 is teasing that he’s on the way. On its Twitter account, the show shared a gif in which a neon version of Danny’s Iron Fist insignia flickers out and reveals a red serpent — Steel Serpent’s insignia. The very last clip we saw delivered on that, with Davos facing off against an unknown man in a night club. Eventually, we see him finish the fight by drawing a red fist — the fist of the Steel Serpent. It seems almost definite that the K’un-Lun clip is teasing the tensions between Danny and Davos, and their eventual face-off. We’ll have to wait for Sept. 7 to see just how their battle will go down, and how Typhoid Mary and the Daughters of the Dragon will play into the mix.